Sol Cinema is the ideal cinema for entertainment and to engage in bringing out our inner super hero. Ask Sol Cinema a question? Solar panel display. We arrive with fully charged batteries which will power the cinema even if the Sun doesn't shine. Our full house is 8 adults or 10 young people. 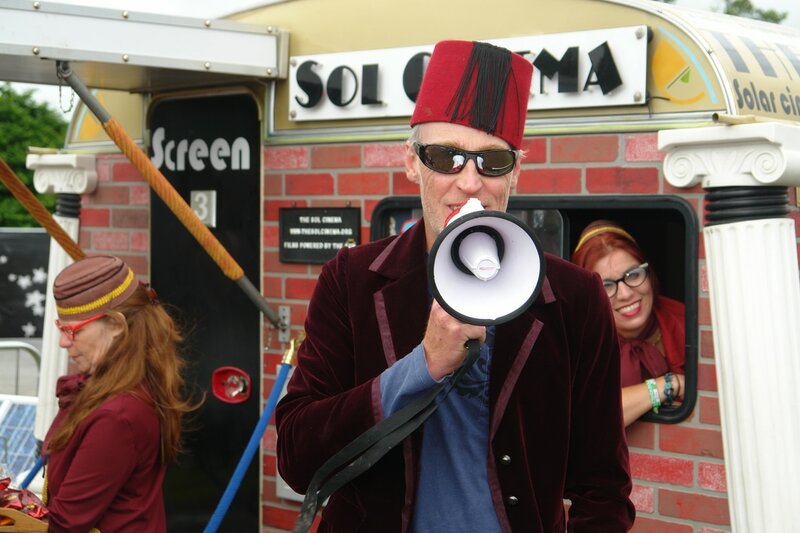 Sol Cinema can be sited on grass or concrete.